I've been on a chocolate pudding kick lately, and I've tried a few different recipes. Of course, each recipe writer said the this one is the best, ultimate, stop-looking-this-is-perfect chocolate pudding. Yeah, okay, but that doesn't mean I'm not going to do a little tweaking. I'm not going to leap up and down and say this is going to be the best pudding you've ever had in your life, but I think the texture is nice - not too thick and not too thin - and still very smooth rather than clumpy. And the addition of malt flavor makes it special. It's not just chocolate pudding, it's chocolate malt. Of course, the chocolate you use makes a huge difference. Good chocolate will make a better pudding. However ... the stronger the chocolate flavor, the less you'll notice the malt flavor. I used about half milk chocolate and half dark chocolate. Use what you like. There are two types of malted milk powder that you can use for this pudding. One dissolves in cold liquid, and the other needs warmth for it to dissolve, but it's still meant for flavoring things like milkshakes. Either will work. There's also diastatic malt powder that's used in baking, particularly for bread. That's not what you want. Put the sugar, cornstarch, malted milk powder, and salt into a saucepan, Whisk to combine. Add the milk, slowly, whisking to combine so there are no lumps or clumps. If you're using the malted milk powder that requires heat, you'll see grains, but you shouldn't have large lumps. Add the egg yolks and whisk to combine. Turn the heat on to medium high, and cook, stirring constantly, until you see small bubbles beginning to form and the mixture begins thickening. Lower the heat a bit, and continue cooking and stirring constantly until you have large bubbles forming. The mixture should be thick. Turn the heat off and add the chocolate. Stir until the chocolate is completely melted and incorporated. Add the vanilla and stir until it is combined. Strain the mixture through a fine strainer into your preferred storage container. If you don't like skin on top of your cooked pudding, put a layer of plastic wrap directly on top of the pudding. If you like that skin, just cover the container. Refrigerate until cold. For some reason, I have too much whole (raw) milk on hand and a few too many wonderful eggs. Most everything else is a stock item, so off we go! I'm opting for robust chocolate and mild malt and I'e worked out the adjustments. We do not *need* a lot of pudding, but it is a real treat and too long. Thanks for the reminder! This one is ~easy and many become a regular. 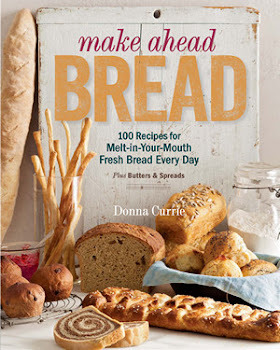 You make wonderful stuff, Donna! -C.
I love the idea of adding malt flavor. Wondering about using good cocoa powder and whisking in with dry ingredients at the beginning? Would it change texture or flavor significantly? There are plenty of pudding recipes that use cocoa, but since that has the fat removed, you would end up with something that's different. Not necessarily bad, but not quite the same. Some cocoas can be a little grainy, too, so it depends on which one you use. I have never thought to make chocolate malt pudding. I love malt flavor. Great idea! I'm not sure how easy it is to find malt milk powder here in Canada... suggestions? But what about using chocolate Ovaltine drink mix? Would that work if I used it instead of the malt milk? it's a malted chocolate drink mix you mix into milk. I remember Ovaltine. It wouldn't hurt, so give it a try. This is one of the delightful dessert than other excellent desserts to share with fellow sweet-teeth. Thanks for sharing this fun and informative dessert recipe.